Warm summer months see the most motorcycles on the road, and now there are more than ever out there. According to the Motorcycle Industry Council, motorcycle sales are up more than 8% through the first quarter of this year. 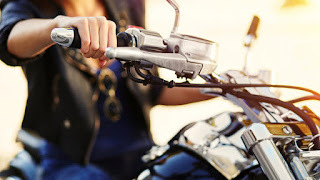 With this information, Progressive analyzed its 2014 motorcycle claims data to find safety tips to help out riders and their insurers to prevent needing to file a claim this summer. Senn Dunn Insurance Announces New Hires!